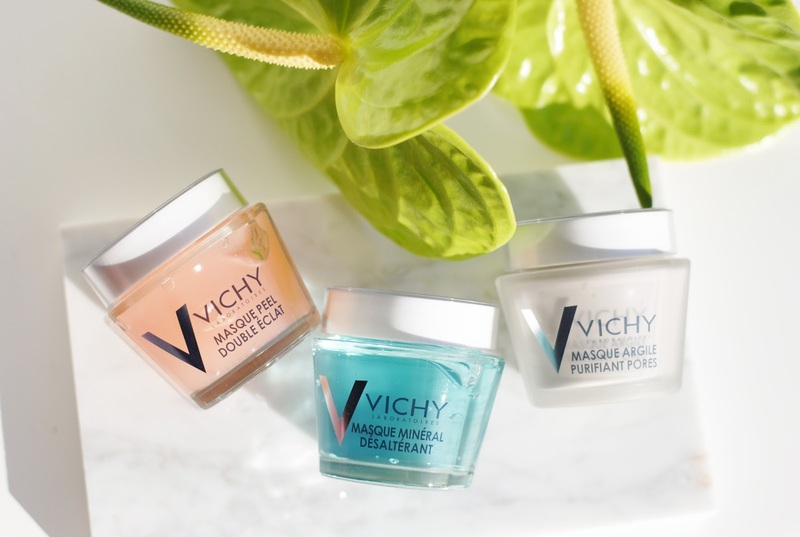 Sunday always is pampering day, so introducing the new Vichy masks seems like a very appropriate post today! 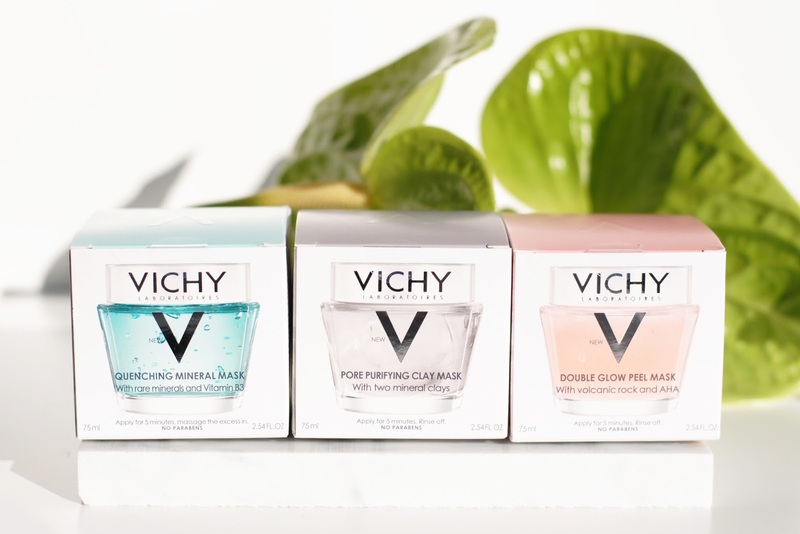 Aaaaaand I'm giving away 5 beautiful Vichy boxes with these masks below! 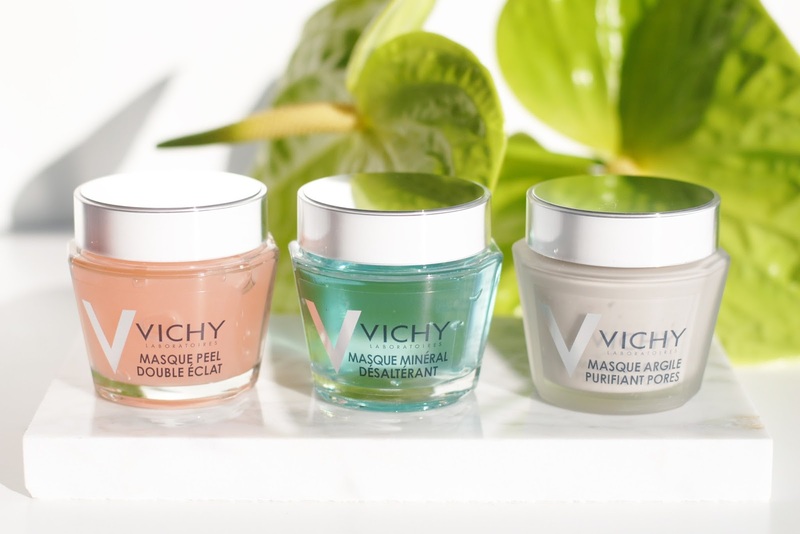 There are three masks, and they all come in a jar. 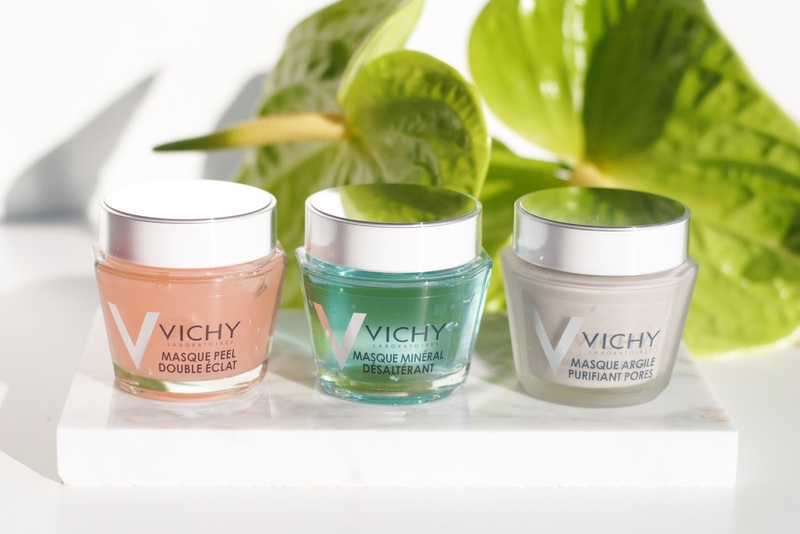 Vichy is playing along with the multi-masking trend (that we also saw recently with L'Oréal here). The three masks all have a different use, so you can use them together as your skin might need some different love on different parts. 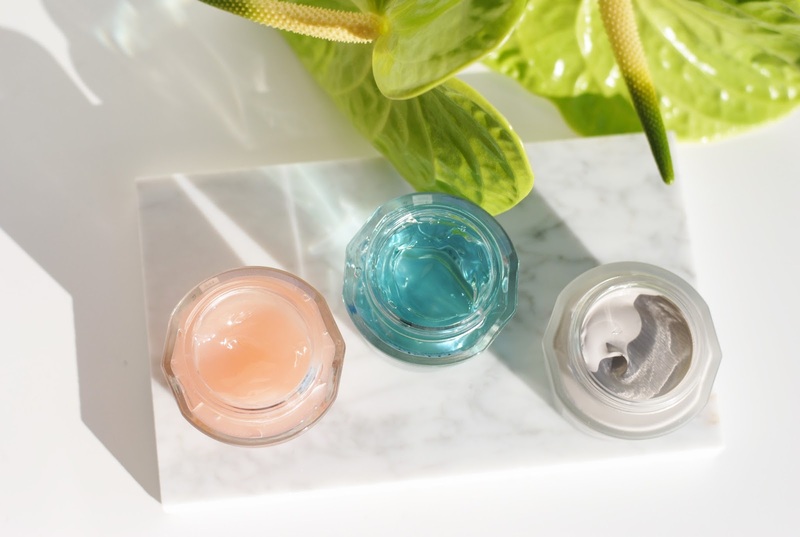 For example: when you have dry cheeks and an oily T-zone: the blue mask for the cheeks, the clay mask for the T-zone. 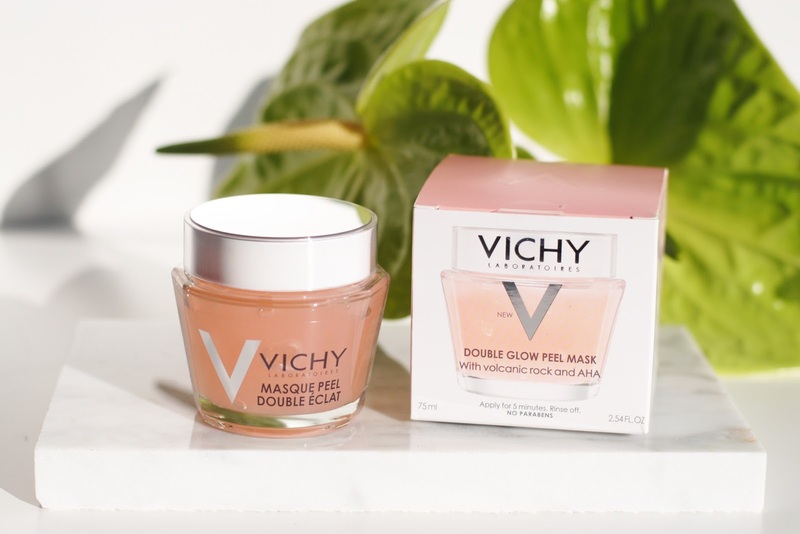 Or of you have a dull skin with clogged pores: the pink mask on the dull parts of your face, and the clay mask on the pores. The Double Glow Peel Mask contains volcanic rock and AHA. 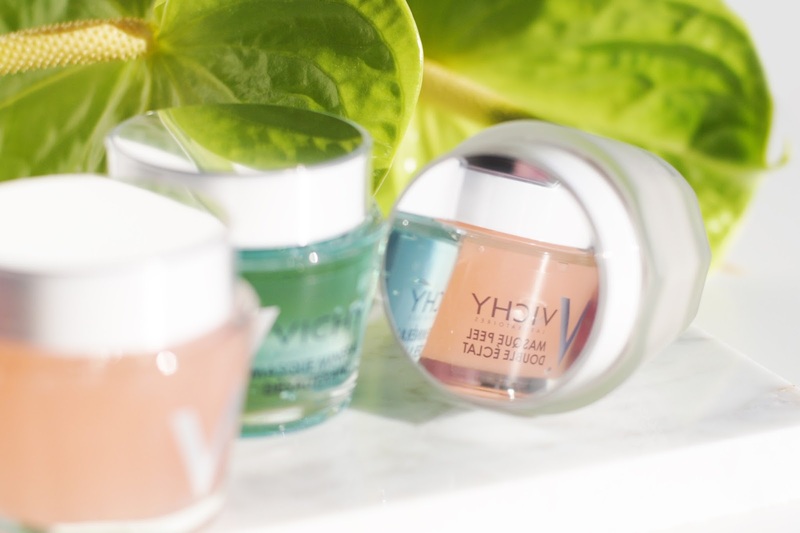 It's formulated to brighten dull skin through a double peel action: chemical action with AHA (fruit acids) to remove dead cells and mechanical action with particles rock of volcanic origin to gently exfoliate. 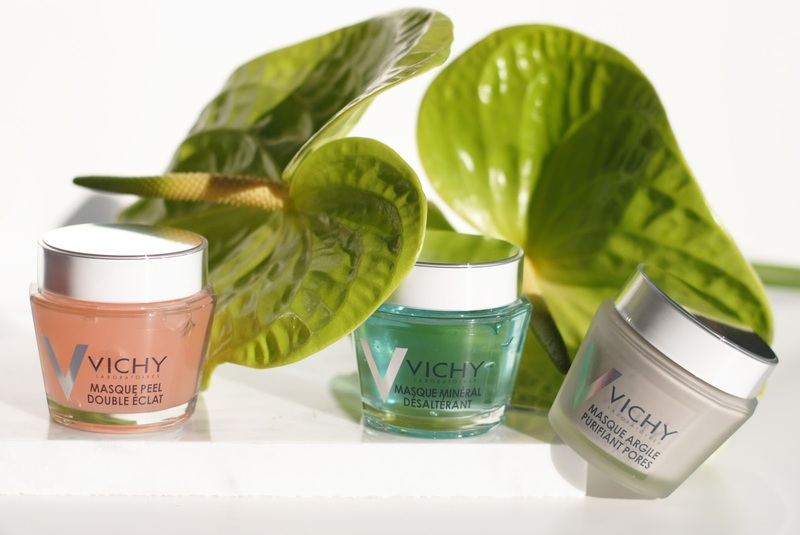 The formula also contains vitamin CG to help illuminate the skin tone. Yumyum! This mask smells really nice, a light scent of cassis, apple and white musk. It feels refreshing and nice on the skin and I can see a difference in radiance when I use it. It's a very mild mechanical exfoliator, the particles aren't big at all. 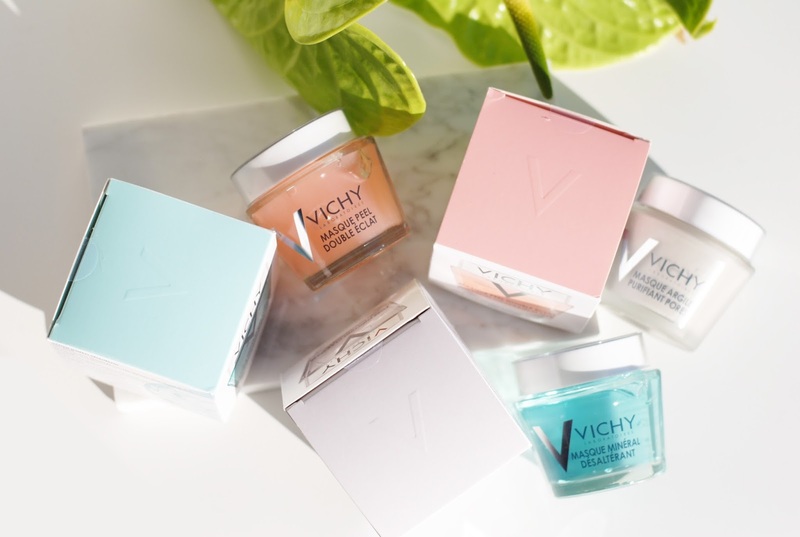 So it's definitely suitable for sensitive skin as it's dermatologically and allergy tested and doesn't (none of the three masks) contain parabens. You have to apply it in circular motions for a slight exfoliating effect. Leave it on for about 4 minutes so the AHA peeling can do it's work, the 5th minute you can do some circular motions again for the mechanical peeling. Rinse it off after 5 minutes. 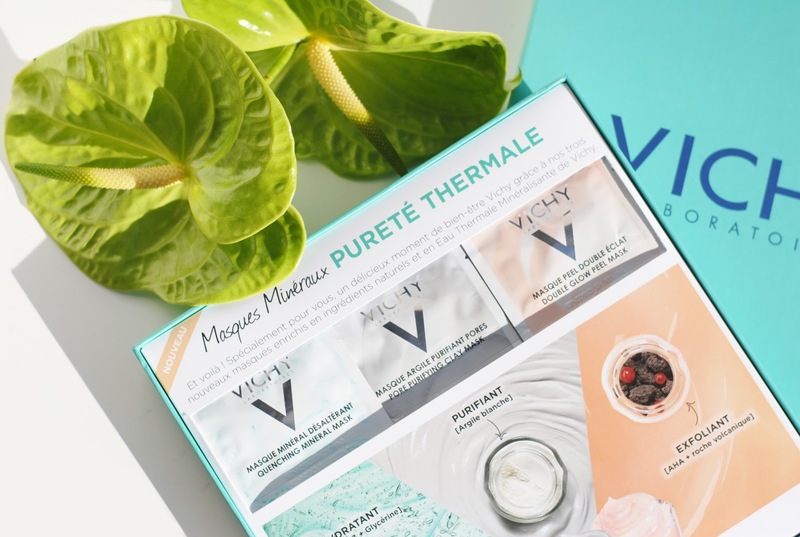 The quenching mineral mask is formulated with B3 and Vichy mineralizing thermal water, it's designed to provide a quick relief to thirsty and sensitive skin. This mask -again- smells so nice: a cool scent of green tea, jasmine water and bamboo. The texture is light and refreshing, exactly like I thought it would feel when I saw the blue water-gel. You can tap softly on your forehead, chin and cheeks to maximize hydration. 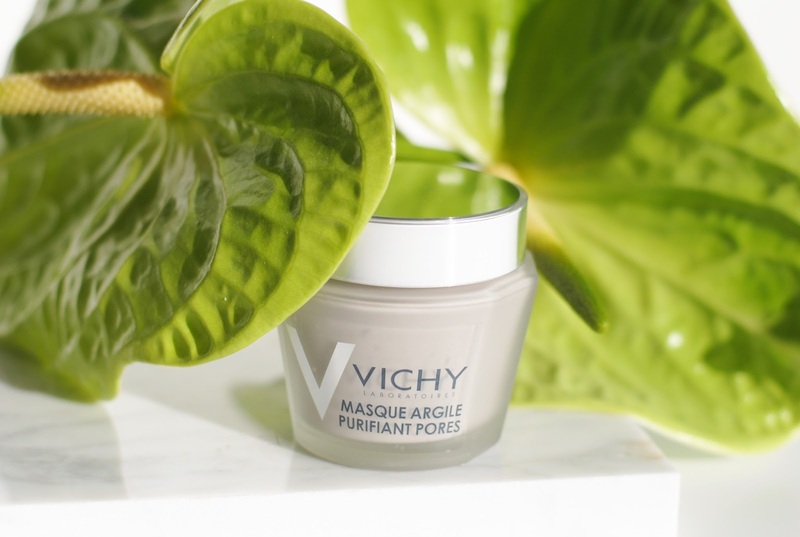 It's a very soft and non-aggressive mask, so I tend to grab this one pretty often when my skin needs an hydration boost. Especially now in winter, I feel my skin is much dryer and needs some extra hydration. You don't even have to rinse the mask off! You can just wipe off what's too much and leave on a layer. This makes it also a perfect night mask! The pore purifying clay mask is formulated with 2 ultrafine mineral clays - it's designed for combination to oily skin with clogged pores. The formula contains Kaolin and Bentonite clay to help eliminate excess sebum and impurities. Personally I did not really care for this mask, the scent is what made me put away the jar. It's very intense, an intense minty, amber, woody something scent mixed with the clay. It just was very off-putting for me. So I only used it once, but I do have to say that it made my skin feel very soft. You have to leave it on for about 3-5 minutes. Aaaaand what about a giveaway? 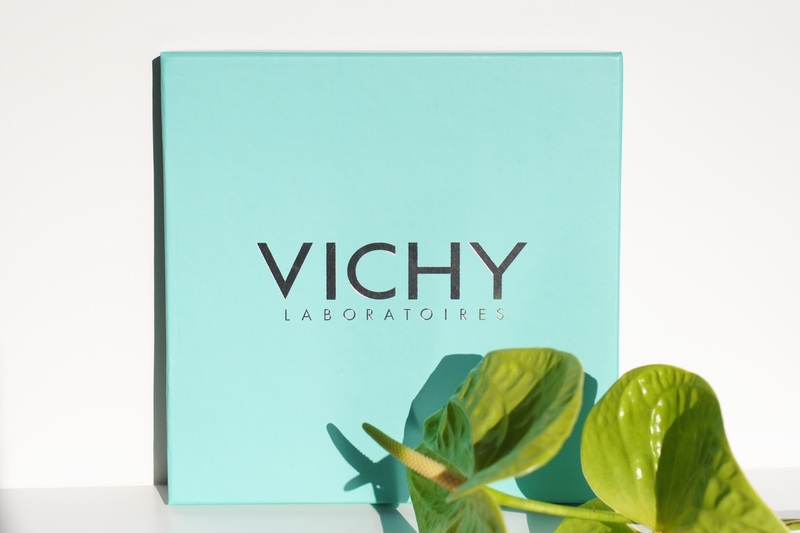 What do you have to do to win one of these pretty boxes? The winners will be announced friday 25 november on the I AM A FASHIONEER Facebook page and you can enter the giveaway until 23.59h november 24th. Good luck! Ik doe ook mee! :D I love me some pampering, zeker tijdens die koude dagen!! Leuke post, ik doe mee! Super leuk! Ik doe meeee! Ik doe natuurlijk ook mee! Mijn huid kan nu wel een maskertje gebruiken! Yay ik doe mee!! Zien er echt fijne maskertjes uit. Oooh die zien er super leuk uit 😍 Ik doe mee! Ik doe zeker mee! Leuk dat je dit wilt doen trouwens! Beautiful pictures! And the design of the jars look great! The textures seem so nice!! 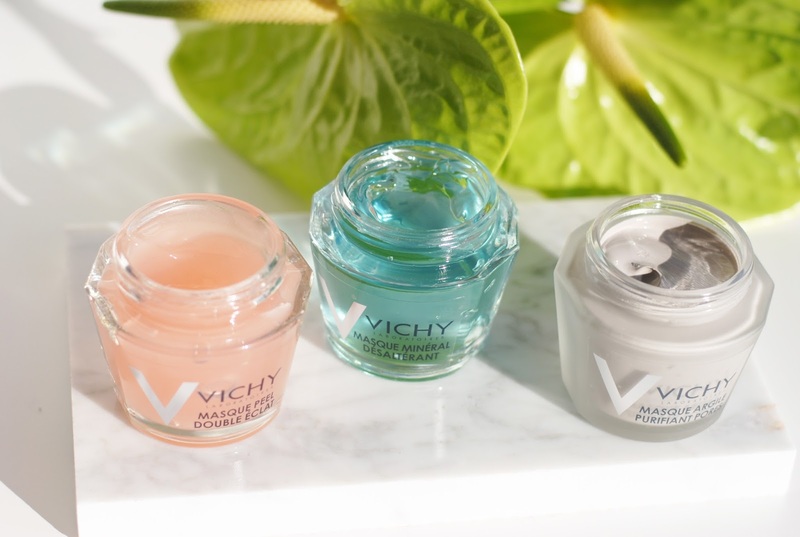 Love de multi masking trend! Mijn huid reageert zo anders op bepaalde plaatsen (droge wangen, vettere T-zone) dat ik dit wel nodig heb :D Fingers crossed dus! E-mail is elisa(at)zeeziek.com, volg uw insta al een tijdje!